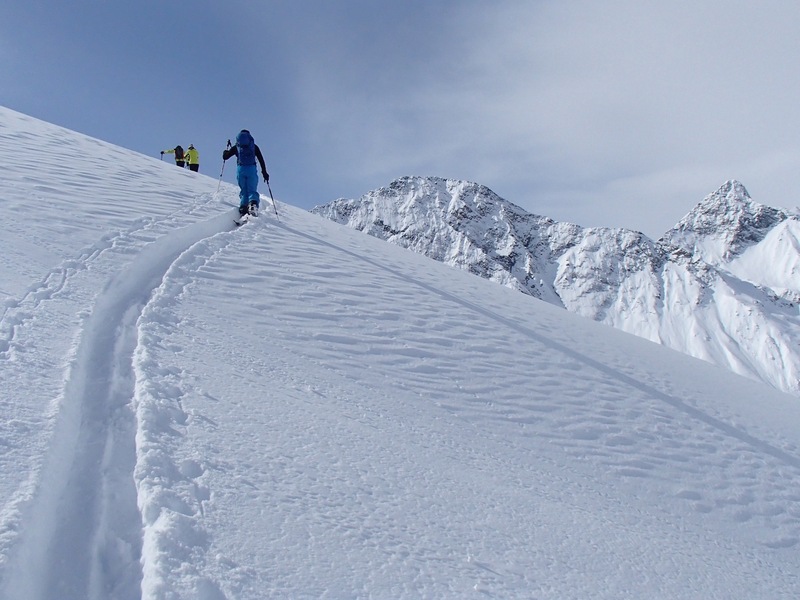 Together with local guides we offer a guided ski tour & splitboard week. The area around MoaAlm is a ski tour & free ride paradise! 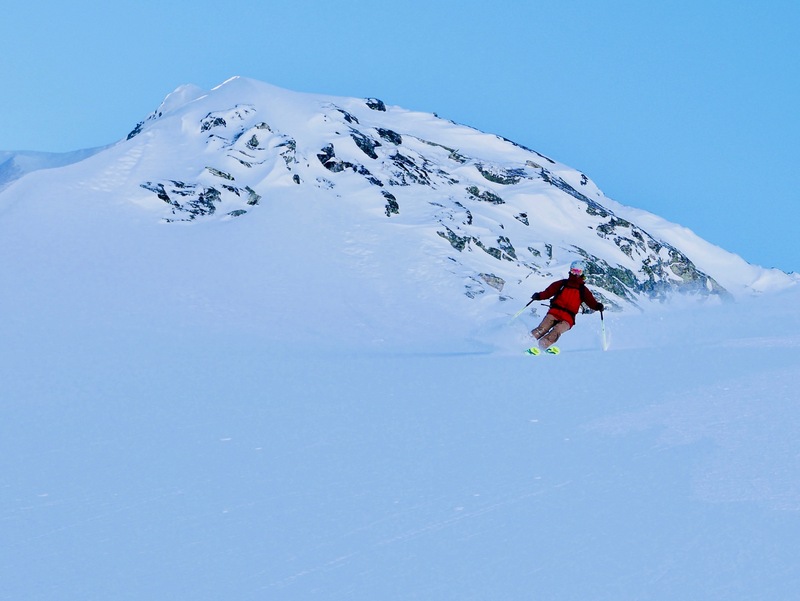 The region is snow-secure, the Kalser valley offers loads of unspoiled back country slopes and the tours can be chosen from beginner to advanced level. Because the number of guests is limited to 8, we can fine-tune the program and level of difficulty to the guests' preferences. Saturday is arrival day - we will have a shared evening meal, get to know each other and discuss plans and wishes for the week to come. On Sunday we will combine a short ski tour with a workshop of basic avalanche rescue techniques. 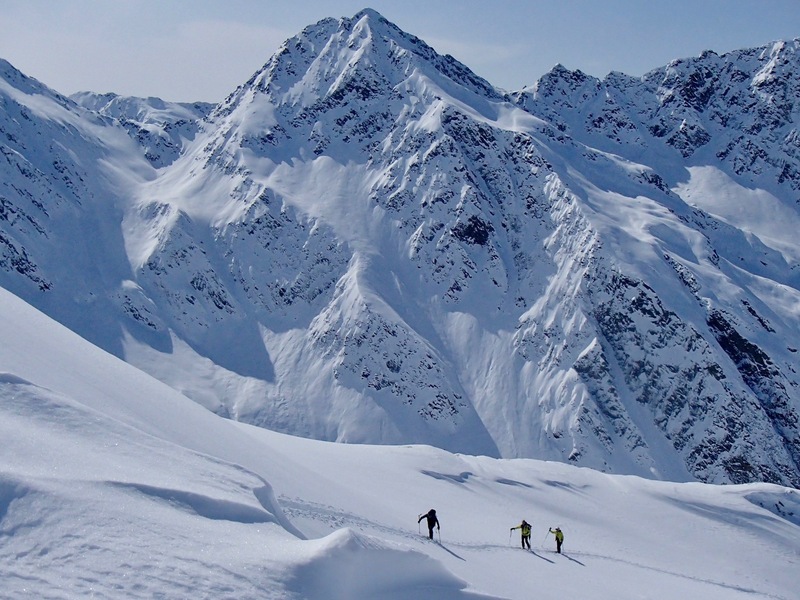 The following days we will provide four full-day guided ski tours. This means that there will be a 'day-off' in the middle of the week. You could use this 'day-off' to rest and recharge your battery, to do some skiing on the groomers in the GG-resort or to take a day trip to the picturesque town of Lienz for example. Lesachriegel 2121m: This is a good tour to the start the week with. From Oberlesach (1400m) we will ascend through the forest towards the mountain ridge above the tree line. The south face has a soft slope and high avalanche-safety. We can climb to a viewing point just above the ridge to enjoy a stunning view of Austria's highest mountains Grossglockner and Grossvenediger. The ride down is easy-going. Böses Weibl 3121m: This is a demanding but absolutely beautiful tour! The way up offers amazing views and the ride down is probably one of the most rewarding in the region. From Lucknerhaus (1920m) we will ascend through a diverse landscape all the way up to the 3121m summit. There are different descend options - if the weather allows us we can take the 1800 vertical meter ride down into Lesacheralm valley. If the group wishes to focus more on off-piste skiing technique, we can use one or more days to do some free-riding in the ski resort. Together with experienced local guides we will hit the off-piste slopes and practice downhill technique. In the evening, we could check out the footage in our TV room and do video analysis. You don't have to be an advanced skier/boarder, but you should have a good level of fitness and be confident riding in a variety of snow conditions and terrain. Fitness: you should be able to ascend 700-1200 vertical meters in a day. Skiing/Riding: you should be able to ski comfortable down a black piste and have experience with off-piste skiing/snowboarding. Don´t worry if you have limited or no experience in split boarding or tour skiing, we will help you can help with that. We will do a (repetition) workshop on avalanche safety & rescue. Please try to bring your own equipment. We will send a detailed packing list after booking.